DSM has been awarded the Executive Order (EO) for Akulon® Fuel Lock FL40-HP, a blow moldable, polyamide 6-based mono-material. This award, granted by the California Air Resources Board (CARB), certifies that the material meets the low permeation of hydrocarbons requirements for small, off-road engine fuel tanks. All off-road equipment sold in the state of California must meet stringent requirements. This EO will allow manufacturers and users of small engine fuel tanks to avoid the lengthy and expensive testing process needed to confirm this level of performance. The EO stipulates that tanks blow molded from Akulon FL40-HP with a minimum wall thickness of 1.2 mm (0.047 inch) need not be tested to the CARB test standard TP-901. Akulon Fuel Lock FL40-HP yields permeation rates that are less than 5% of the maximum value of 2.0 g/m2/day allowed by CARB under their test rules. Akulon Fuel Lock FL40-HP is a polyamide 6-based material, designed to be blow molded into fuel tanks that are used for engines that power handheld and ground-supported lawn and garden equipment, as well as recreational, professional landscaping and marine applications. Akulon FL40-HP achieves this low permeation level without the use of additives or post-molding processes, such as fluorination. Risks of non-conforming tanks due to improper or inadequate processing are almost completely eliminated. Tanks molded from this grade also exhibit excellent cold impact resistance, even in temperatures as low as -40°C (- 40 °F). 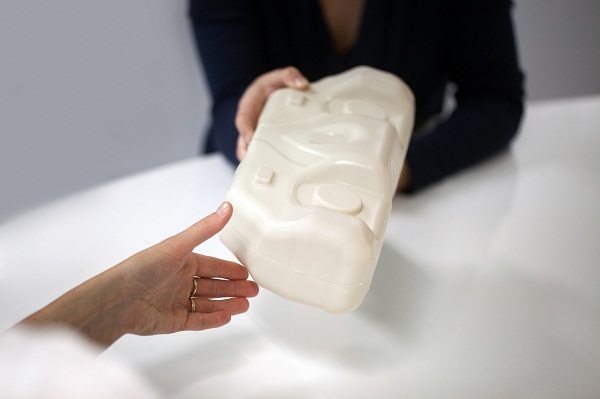 Due to the regulation of maximum levels of hydrocarbon permeation by both CARB and the Environmental Protection Agency (EPA), high-density polyethylene (HDPE), the material most commonly used for fuel tanks can no longer be used in its current form. As a global specialist in materials sciences, DSM developed Akulon Fuel Lock to respond to this market need for innovative materials that surpass these regulations. Akulon Fuel Lock offers an enhanced barrier performance that is inherent in the material, ensuring that there will be no change in emission rate over the usable life of the tank. This family of cost-effective mono-materials combines low permeation with excellent processing characteristics for either injection or blow molding. Akulon Fuel Lock can be processed with conventional injection or blow molding equipment, using existing HDPE tooling. All scrap material can be reused in the molding process, with virtually no degradation of physical or mechanical properties. Akulon Fuel Lock is a cost-competitive material that reduces evaporative emissions from small engine fuel tanks by more than 99% compared to HDPE. This far exceeds the new regulations by both CARB and EPA.